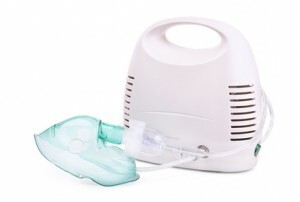 A compressor nebulizer converts the liquid medication into a mist so that it can be effectively inhaled by either breathing naturally, through a mask or through a mouthpiece. The nebulizer and compressor aerosolize the liquid medication quickly so that the medication precisely reaches deep into the patient’s lungs thus reducing drug wastage. 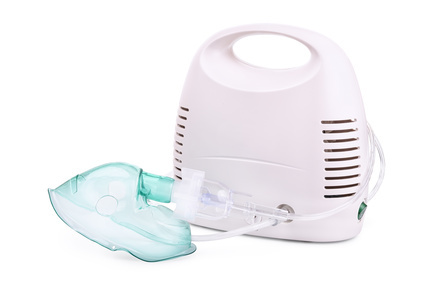 The nebulizer is made of a machine which powers the nebulizer and the tube that is connecting the machine to the container that stores the medicine. The liquid medication changes into mist in the container. There is a valve in the medicine container that lets you control the amount of mist that is sprayed. These are the common terms you must know when you are purchasing a nebulizer. Particle size: the size of aerosol particles should range between 5-10 microns. Anything bigger or smaller is not effective in most treatments. Nebulizer tub: compressor nebulizers use the tubing called the nebulizer tube that connect the nebulizer to the compressor and is almost 7 feet tall. Nebulizer: the actual part that does the work, is connected to the medication container and the compressor which produces the aerosols. Aerosol: medication mist or vapor that is inhaled. Electronic nebulizer: uses the vibrating mesh to create an aerosol. Jet nebulizer: is the name for a compressor nebulizer system. Ultrasonic nebulizer: uses ultrasonic waves to aerosolize the liquid medication unlike the compressed air. Nebulization capacity: The nebulization capacity of a nebulization device is from 5 ml to 10 ml. Depending on the requirement and utility, one can choose the capacity needed. Power Consumption: The power consumption varies from 1.5W to 180W. Price Range: The pricing of nebulizers and compressors depends upon the system of nebulizers that you select. It also depends upon the mist formation that is the aerosols that are formed which are uniform in the higher end nebulizers. When buying a nebulizer, keep in mind the ease of cleaning the device. The mesh type requires regular cleaning with all the parts being dismantled, washed, cleaned and then re-assembled. All items that are not standard on the nebulizer systems are called accessories. They should be easily and cheaply available. A nebulizer and compressor is an investment for your good health. A nebulizer becomes an indispensable part of your very being, your lifestyle as it is a medical need. When choosing a nebulizer, check with your health care professional about your symptoms, the diagnosis and the plan of treatment that you have to follow. Check what kind of medicines will be prescribed and how regularly you have to use the nebulizer. Depending on your lifestyle, you can choose a tabletop model for home use or the portable one when you are going to be on the move. The portable one has to be powered by a battery. If you are always short of time, choose an ultrasonic unit as that takes lesser time as compared to a compressor nebulizer which takes almost 15 minutes to deliver the medication. If nebulizer treatment is required for children, buy child-friendly nebulizers. Choose from nebulizers with cartoon characters as the size of the nebulizer can be intimidating for a child. The price range, the ease of cleaning the nebulizer and availability of accessories are also important deciding factors when buying a nebulizer. Keeping all the above listed points in mind, identify the nebulizer and compressor that suits you best!